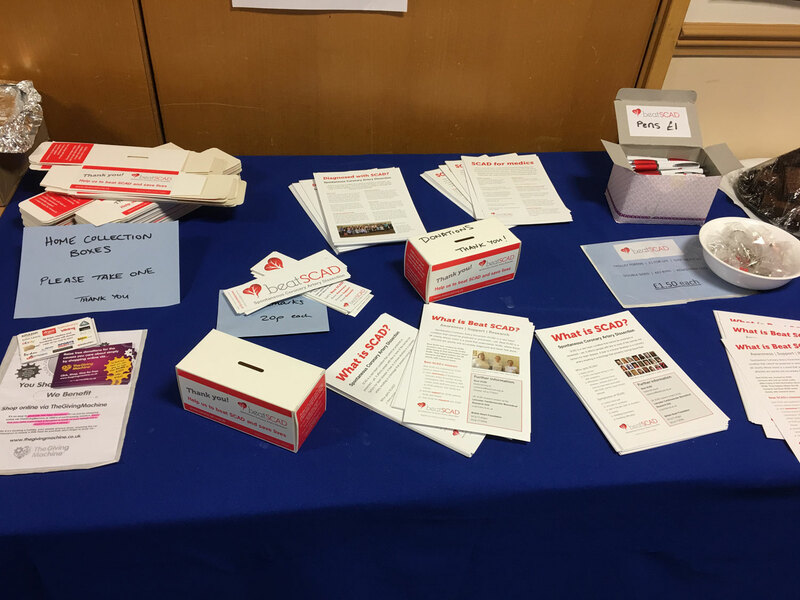 Tuesday 28 February 2017 was the tenth edition of Rare Disease Day and saw thousands of people from all over the world come together to advocate for more research on rare diseases. 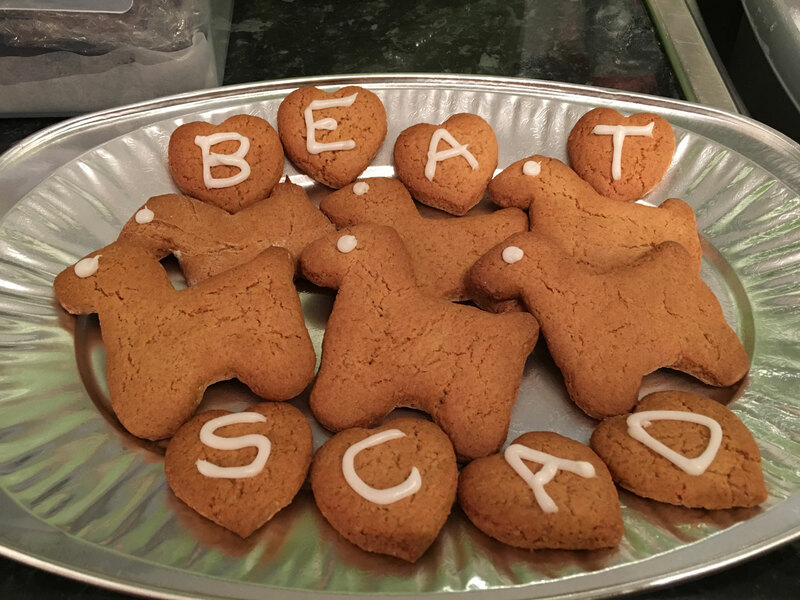 Many events were registered, including our ‘Scones for SCAD’ event. recognise the crucial role that patients play in research. 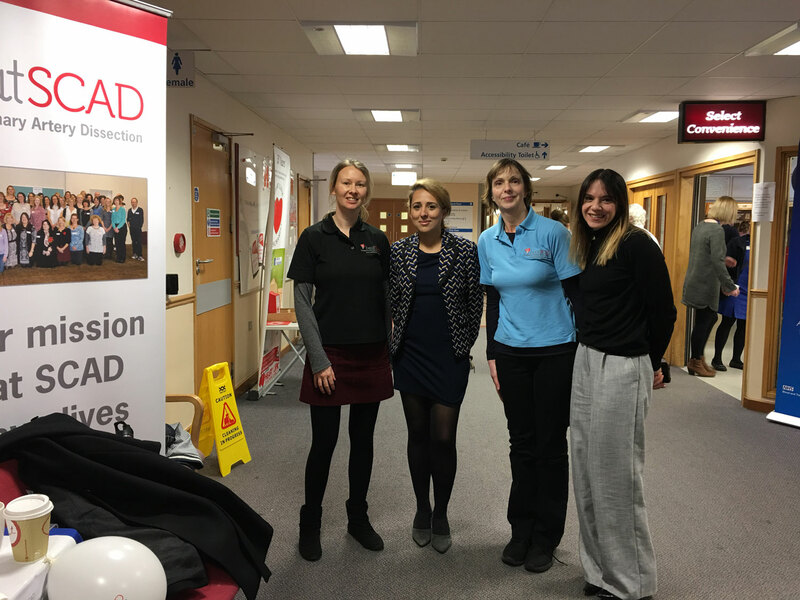 The SCAD community have a fantastic relationship with the Leicester research team at the NIHR Leicester Cardiovascular Biomedical Research Unit (LCBRU) in the BHF Cardiovascular Research Centre at Glenfield Hospital. Patients and researchers are working together as a formidable team, pushing forward to understand this life-changing and potentially devastating condition. 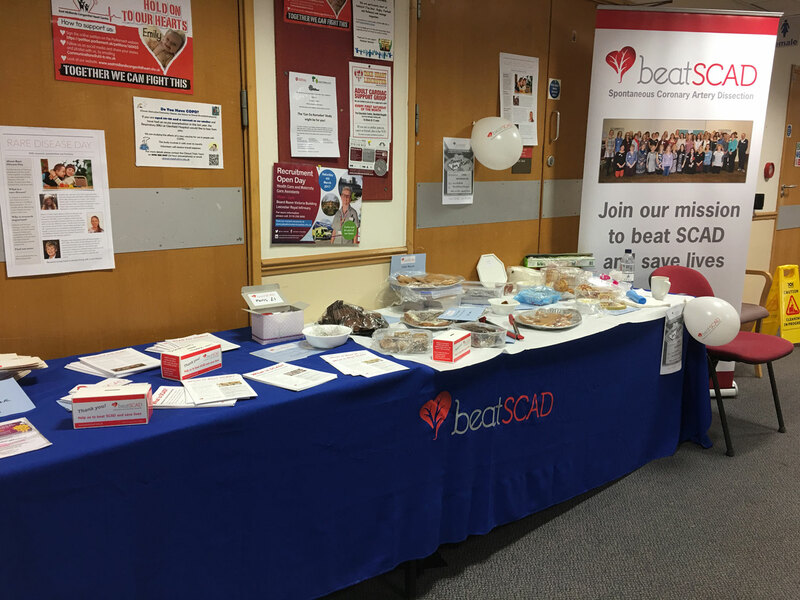 To highlight the SCAD research and patient-researcher relationship, Beat SCAD and NIHR LCBRU hosted a day of awareness and fundraising at Glenfield Hospital. Members of the SCAD community kindly shared their stories and gained some fantastic media coverage. 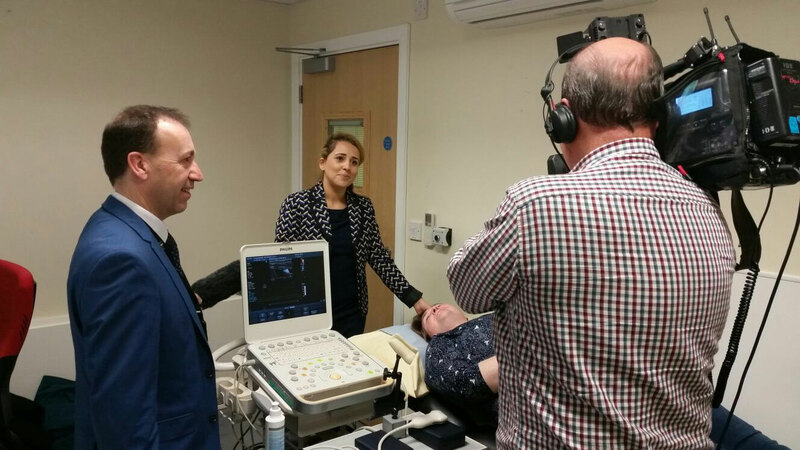 The day began with an important feature on the BBC Victoria Derbyshire show: Young Women who survive heart attacks. 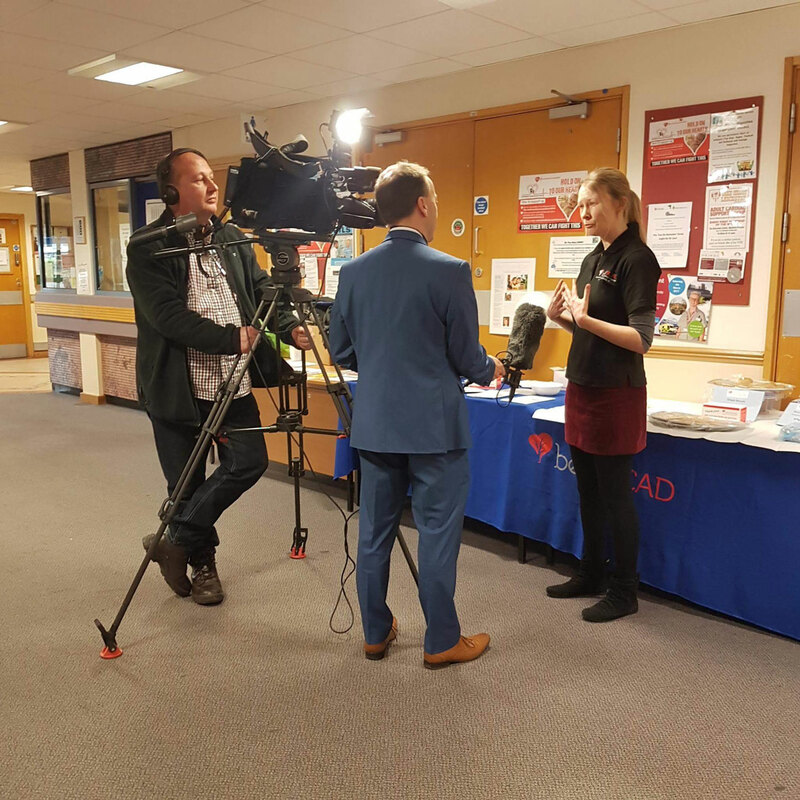 Firstly, the story of SCAD Survivor Nicki Owen was shared by the BBC whilst Nicki attended Glenfield for her first SCAD Clinic appointment. Two more SCAD Survivors featured on the live programme: Kate Alderton was interviewed in the studio and Catherine Beck remotely via video link. 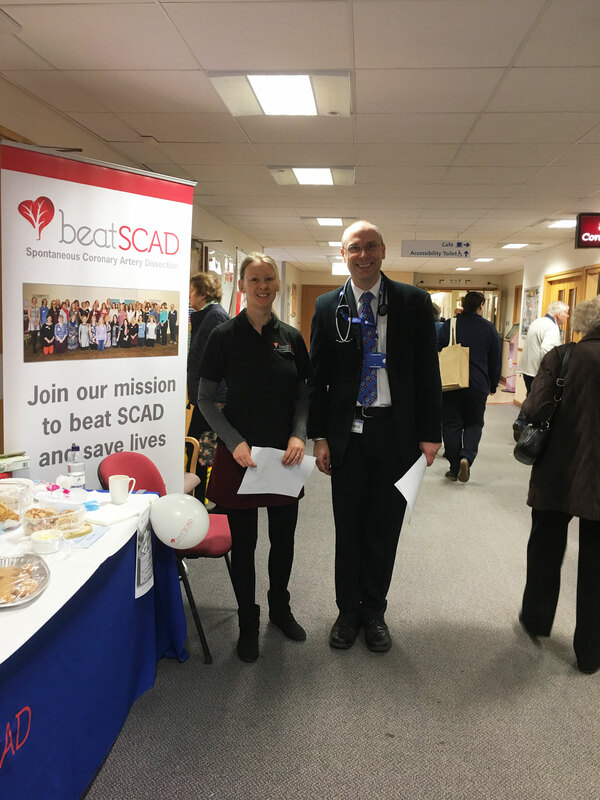 Dr Adlam (pictured below with Beat SCAD Chair Rebecca Breslin) explained how SCAD is a bruise within the wall of a coronary artery which compresses the artery causing a blockage which leads to a heart attack, rather than being an atherosclerotic plaque associated with inflammation and cholesterol which causes a conventional heart attack. Victoria Derbyshire asked Kate and Catherine to describe the impact SCAD has had on their lives. Later in the day, Kate was interviewed by her local radio station. 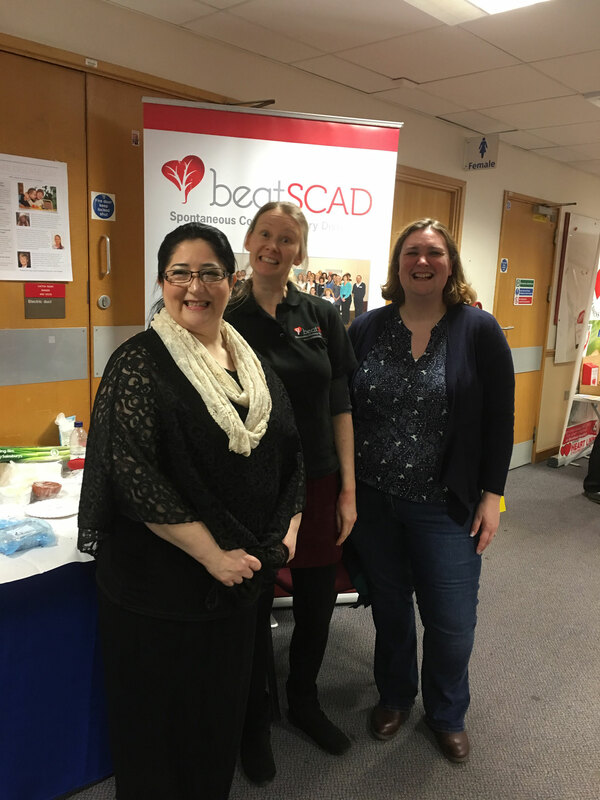 The NIHR and BHF funded research has given great hope to the SCAD community. 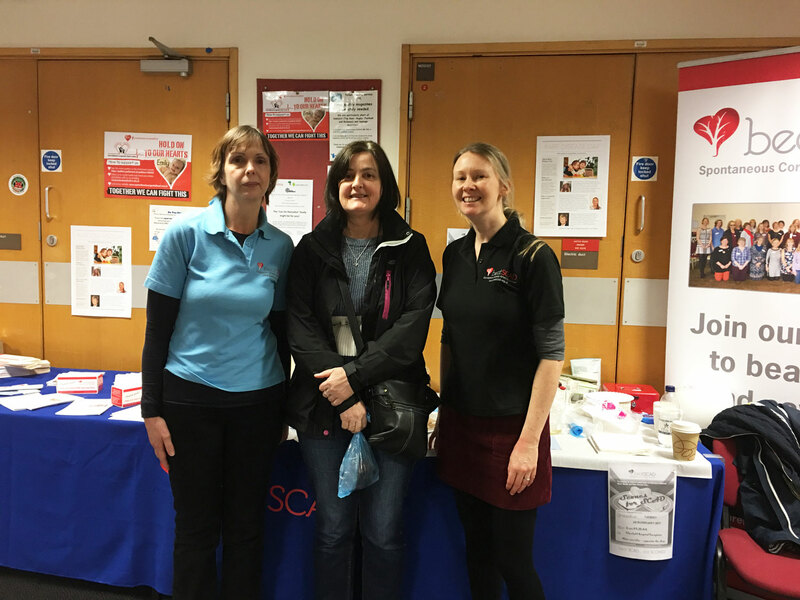 Approximately 120 SCAD survivors have already been assessed, their data collected and under analysis but there are hundreds more people registered who are desperate to participate in this quest for answers. 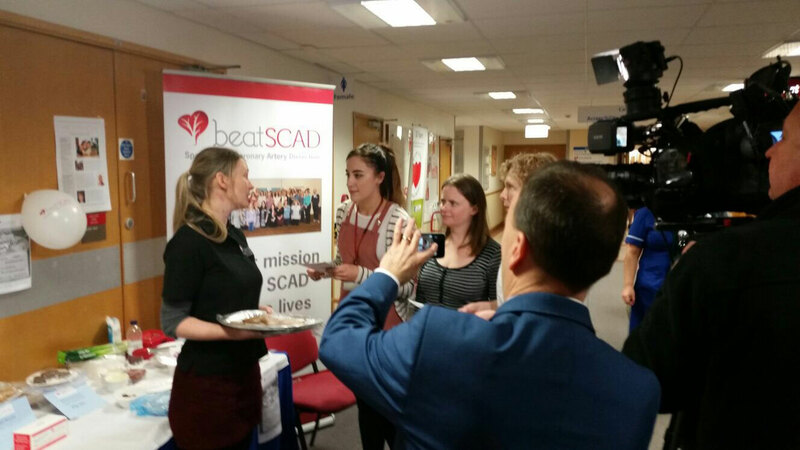 An ITV News crew filmed aspects of the event and interviewed researchers Dr Adlam and Dr Abi Al-Hussaini, SCAD survivor and research participant Alex Mortimer and Beat SCAD Chair Rebecca Breslin. Watch the feature here. Of course, even more awareness and funding are required to find the answers… And you can help us now with raising awareness. Share your story – whether a survivor, a carer, or family member – on our website (contactus@beatscad.org.uk), contact your local newspaper, magazines, TV/radio etc. Let’s make noise about SCAD!